The Penn State Opera Theatre will perform comic opera "Iolanthe" at the State Theatre from Friday through Sunday. The opera by Gilbert and Sullivan and focuses on the fairy, Iolanthe, who is banned from the fairy kingdom because she married a mortal. Twenty-five years later, at the start of the opera, the fairies try to convince their queen to allow Iolanthe to return. There will be two evening performances of "Iolanthe," each at 7:30 p.m. 0n Friday and Saturday, and one matinee performance at 2 p.m. Sunday. Tickets are $10 for students, $20 for adults, and $18 for seniors including ticketing fees. Tickets can be purchased at the State Theatre box office or online here. 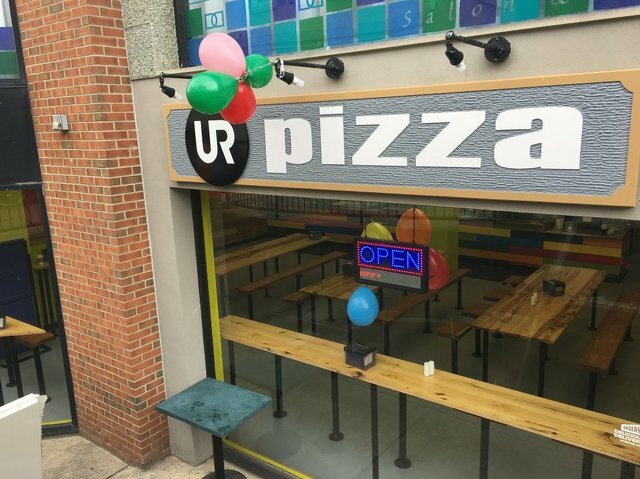 The latest addition to the downtown State College pizza scene opened its doors for the first time on Tuesday. UR Pizza is the newest among restaurateur Hitham Hiyajneh’s list of local eateries, and is located at 214 East Calder Way next to Underground Burgers and Crepes in the unit that formerly housed Tazzah Fresh.